Flanked by choreographed dancers, Jack belted out his best for more than 300 guests at Fluxx in downtown San Diego. 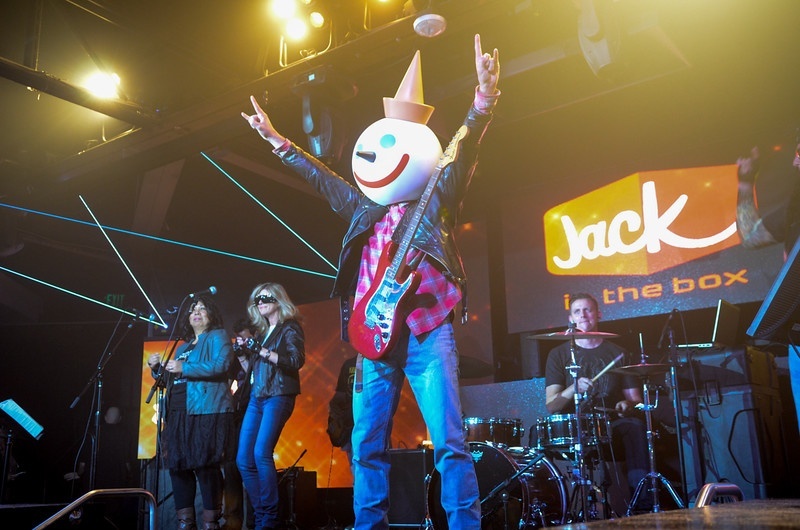 Our client, Jack In the Box, hired Rock Out Karaoke to bring an interactive element to the entertainment for the night where a standard cover band just wouldn’t do. Besides several rock star Jack In the Box employees, we were joined that night by Gene Simmons of KISS and Madonna (we think it was the real Gene; really we do!). Check out the photo gallery for the proof! And please don’t settle for the same old boring band the next time you’re planning an event.